* International Organization. How the 'new Institutionalism' differs from the old. * The System of States. 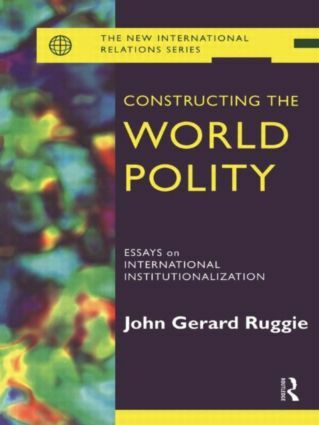 Explorations of political structure, social time, and territorial space in the world polity. * Making History. America and the issue of 'agency' in the post-Cold Was era. NATO and the future transatlantic security community. The United Nations and the collective use of force. The field of international relations has changed dramatically in recent years, with new subject matter being brought to light and new approaches from in and out of the social sciences being tried out. This series offers itself as a broad church for innovative work that aims to renew the discipline.